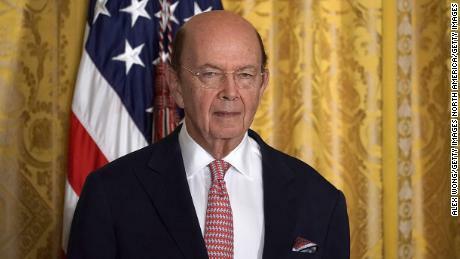 US Secretary of Commerce Wilbur Ross was due to visit India for talks on Thursday as storm clouds gather over a trading relationship worth about $125 billion a year. He canceled his trip late Wednesday. “Due to inclement weather, technical problems that led to the cancellation of his flight, and other logistical issues, Secretary Ross regrets he is no longer able to attend … in person,” a Commerce Department spokesperson said. Trump has repeatedly slammed Indian duties on US goods, particularly on products like Harley-Davidson (HOG) motorcycles, even though it’s not clear Harley actually pays the tariff. Last month, Trump took aim at India’s 150% tariff on imported whiskey. “India is a very high tariff. They charge us a lot of tariffs,” he said at a White House event. The US administration may now be preparing to tighten the screws. Officials are considering removing India from a program that allows it to export goods such as jewelry, vehicle parts and electric motors worth $5.6 billion free of US tariffs, according to Reuters. The Generalized System of Preferences (GSP) program gives 121 developing countries easier access to US consumers. India was the biggest beneficiary in 2017, according to US government data. Washington announced last year that it would review India’s eligibility for the GSP program, after complaints from US dairy farmers and medical device manufacturers that India’s tariffs had hurt their exports. One of Trump’s goals has been to cut America’s trade deficit. India exported goods worth more than $50 billion to the United States last year and imported US products worth about $30 billion, according to the US Census Bureau. Modi, on the other hand, wants to attract more foreign manufacturers into India. 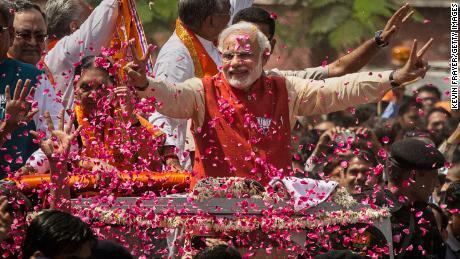 Anything that makes it harder to access the US market could scare them away just as Modi begins campaigning for a second term. The United States Trade Representative declined to comment on India’s potential removal from the GSP, and India’s Ministry of Commerce did not respond to requests for comment. “I think partly it could be construed as negotiation strategy, you raise the pitch in the run-up to the actual talks,” said Rajat Kathuria, director of the Indian Council for Research on International Economic Relations, a think tank. But the US administration may have a point, he added, given India is now the world’s fastest growing major economy. “We’ve grown out of the developing country threshold that provided us conditional access to that system,” he said. “We may be able to get it one more time, or a couple more times, but I think the writing is on the wall,” Kathuria said. The GSP isn’t the only source of tension. India was one of several countries hit by US steel and aluminum tariffs last year. India announced its own tariffs on US goods worth $240 million in retaliation but has yet to impose them. Restrictions on two of America’s biggest companies could serve as another major sticking point in trade talks. New Delhi introduced regulations this month with the aim of preventing global retailers such as Amazon (AMZN) and Walmart (WMT) from using their deep pockets and massive scale to drive down prices in India. Amazon has pledged to invest more than $5 billion in its India business, while Walmart paid $16 billion last year for Flipkart, India’s biggest online retailer. Both companies have pushed back against the new rules, but their requests for more time to comply were rejected by the Indian government under pressure from local business owners. The US government has reportedly been lobbying the Indian government to relax the e-commerce rules and protect Walmart and Amazon’s investments. 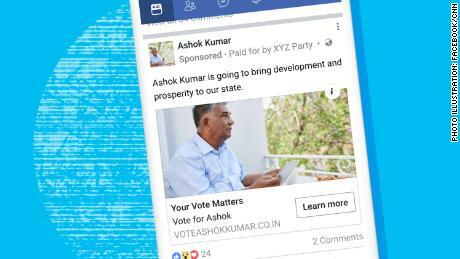 Groups that promote US-India business links have hit out against the e-commerce restrictions. The US-India Strategic Partnership Forum called them “regressive,” while the US-India Business Council warned of the “harmful implications” of the new policies. Other restrictions on digital payments have hit companies such as Mastercard (MA), whose CEO Ajay Banga was due to accompany Ross to New Delhi. And government plans to require companies like Facebook (FB) and Google (GOOGL) to store data of Indian users in the country have also prompted a similar backlash from US companies and trade bodies. While tensions continue to mount between Delhi and Washington, the United States may be reluctant to spark another trade war after months of friction — and tariffs worth billions of dollars — on China. And the US-China trade war gives India an extra incentive to avoid a fight. “If there’s going to be a spillover from China to other markets to access the US market, then India is well placed to exploit whatever slack there is because of the trade war,” Kathuria said.